Aakash Power is a Global Supplier, Exporter, and Distributor of CACA CACW HV Motors, delivering complete motor solutions to the world’s most demanding industries. Our CACA CACW HV Motors are approved by the international set of standards. These motors are rugged motors can be custom designed to each customer’s specific application. Because of their design versatility and high operating efficiencies, our motors are the logical choice for a multitude of industries including oil and gas, petro-chemical, pulp and paper, electric utility, water and waste water, marine, steel, mining and air separation. Typical applications include agitators, blowers, boring mills, pumps, conveyors, crushers, fans, and many more. 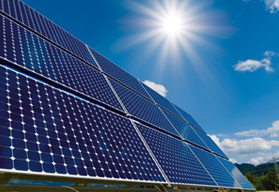 Upto 4000 KW range capability. RESIVAC VPI Insulation System for total winding reliability. Low Noise Level - Better performance than IS:12065. Low vibration level - conforms to IS:12075. IP 55 enclosure protection as standard on enclosed machines. Compliance with National and International Standards. Upto 11 kV, 50 or 60 Hz. supply. Low Starting Current design available. 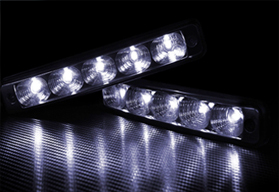 Compliance with other specifications and standards such as NEMA-MG1 and API 541 can be offered, and further major user specifications can be met on request. Please check with our sales department of the address given on the back of this publication for more detailed information. Many company and project specifications use IEC 34.1 as a basis or reference and thus compliance may be assured. Air-cooled CACA (TEAAC) IC 0161, Water-cooled CACW (TEWAC) ICOA1W7, Open Ventilated (OVDP) IC 01, and NEMA II enclosures are available as standard options. Horizontal Foot Mounting to IM 1001 & Vertical Mounting to IM 3011. Shaft and fixing dimensions are in accordance with the requirements of IEC 72 and 72A together with BS 4999 part 141 & IS:8223. Shaft center heights from 400 to 710 mm are covered. All fixed speed requirements can be met, together with machines for variable speed drive systems. Proven designs exist for most driven equipment needs (e.g. compressors, pumps, fans, crushers and mills). All National and International supply voltages and frequencies are catered for this range. Class F RESIVAC Vacuum and Pressure Impregnation Insulation systems comply with IEC 85. After impregnation the stator windings are subjected to the voltage tests specified in IEC 34.1. All machines are subject to loss tangent tests. IP 55 as standard for totally enclosed water or air cooled machines. Protection and enclosure types are as recommended by IEC 34-5 & IS: 4691. Methods of cooling are as recommended by IEC 34-6 (complete system) & IS: 6362. The designs employ radial ducted ventilation using shaft mounted steel fans to circulate the internal cooling air. 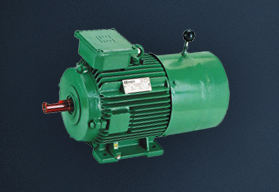 Motors are fitted as standard with high efficiency, unidirectional low noise level, shaft mounted steel fans. 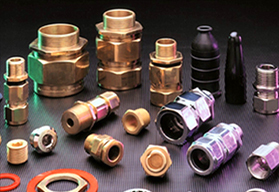 Particular attention has been given to all sources of noise generation and CACA / CACW standard designs meet the most stringent modern requirements, (i.e. typically 85 dB (A) at 1 meter). These motors comply with the requirements of API 541, and IS: 12075. Rotors are dynamically balanced prior to assembly in two planes. Vibration is then checked on test before and after over speed tests to prove stability. Typically, full load efficiencies greater than 96% are achieved as standard ensuring low operating costs. Standard designs are within BS 4999 Part 112 design D limits. Lower starting current designs can be tailored to suit specific supply system limitations where required. CACA / CACW Motor frames are of box configuration, manufactured from cast iron or Fabricated Steel, thus ensuring an extremely robust and rigid support structure. The top of the frame has a rectangular opening to allow fitment of the air/air or air/water heat exchanger, or alternative ventilation arrangements. Stator core packs are built on expanding mondrels using packets of insualted, low-loss laminated electrical steel, interspersed with I-beam spacer sections which form radial cooling ducts. Cores are hydraulically compressed between substantial steel end-plates and the entire assembly is secured by sequentially welding langitudinal steel core-bars to the back of the laminations and the end-plates to maintain the pressure. The core bars extend beyond the end plates to form rigid anchorages for bracing of the end windings. Rotor cores are built against a compression plate utilizing packets of insulated laminations in a similar manner to the stator cores. These are then shrunk onto the shaft assembly and retained by circumferential keys. Rotor bars are designed and manufactured to maintain a tight fit throughout the slot length and depth, and are connected to the end-rings by means of a specially developed one shot brazing process ensuring total reliability throughout the life of the motor. Cage designs are optimized to ensure a minimum starting capability of 1000 starts per year over a 20-year period. Stator Coils are manufactured from annealed copper strip, insulated with mica-paper tape. Loops are formed with the appropriate number of turns, and the coil is then pulled into the required shape in a forming machine. Layers of mica tape insulation are then added, followed by the application of corona shield or semi-conducting tape as appropriate to the supply voltage. The coils are inserted into their slots in the stator core pack and fixed firmly in position with slot wedges. End windings are securely braced, thus ensuring the prevention of movement during starting and service. 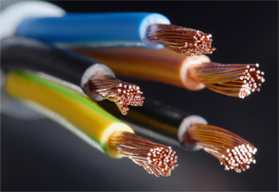 High voltage tests are carried out both before and after connection, and again after impregnation in order to check insulation integrity. On completion of the winding process, resistances and impedances are checked for balance and design conformity. End Winding Bracing The end winding bracing system is designed to match the rotor capability of a minimum 1000 starts per year for 20 years and to withstand the stresses involved in 180 degrees out-of-phase re-switching. The RESIVAC Vacuum Pressure Impregnation System (VPI) is employed on all CACA / CACW Motors. This system ensures global impregnation of the entire wound stator core assembly using a specially developed solventless epoxy resin. The process guarantees that all air and moisture is extracted under vacuum from the winding before pressure then forces resin into every void within the assembly. Curing of the resin is carried out whilst constantly rotating the assembly in on oven to ensure even distribution. The entire impregnation operation is microprocessor controlled and data logged to ensure total reliability of the windings during service life. Shafts are manufactured from carbon manganese steel bar material of grade 150M19 to BS970. Welded-on longitudinal arms are utilized. Standard motors have a single parallel shaft extension. Where appropriate, motors may utilize forged shafts and integral half-couplings. Plain white metal or rolling element end shield-mounted bearings are available to suit appropriate motor application and speed. Plain bearings incorporating specially developed multiple labyrinth floating oil and air-seals ensure that dynamic changes of motor internal pressure do not adversely affect the lubrication system and allow IP55 degree of protection as standard. Centre flange bearings are used on larger machines giving considerable benefits of improved rotor dynamic performance and overall motor efficiency. Plain bearings are insulated at the spherical seating on both bearings, enabling simple testing of insulation integrity. In operation, an earth connection at the drive-end avoids any build-up of voltage. Either rolling element or plain bearings are available on slower speed machines and are selected for minimum maintenance and to avoid the need for external lubrication systems. 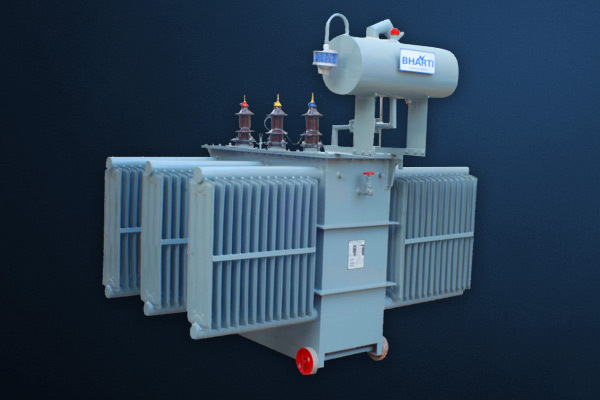 Fault rated elastomeric connectors (with or without mechanical protection), steel weatherproof boxes, phase insulated or fault rated phase segregated terminal boxes, and terminal boxes including provision of, or for surge diverters, current transformers etc. can be provided where appropriate. Winding neutral terminations may be concealed behind a cover or brought out to an external chamber to allow for the fitting of current transformers etc. where required. Terminal boxes can be provided on either side of the machine, and are able to accept cable entry from any of 4x90 degree positions. Anti-condensation heaters meet type LN requirements as standard and are easily withdraw able for maintenance without dismantling the motor. Bearing temperature, vibration monitoring, cooling system performance is available as required.